Boating projects construct, renovate, improve, and/or maintain access for marine or freshwater trailerable (less than 26 feet in length) gasoline-powered boats. Since a large portion of boating access funds comes from federal taxes on fuel and recreational power boats, project proposals that primarily benefit non-motorized boats (canoes, kayaks, and rafts) or diesel-powered boats do not qualify as recreational boating related projects. 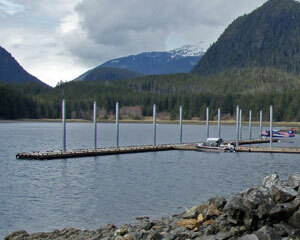 Launching facilities, such as ramps and boat lifts. Marina improvements, including docking facilities for transient motorboat users (stopping briefly, not to exceed 10 days). Land acquisition and development of fishing lakes and ponds (providing motorboats are allowed). Restrooms, sewage treatment facilities, showers, potable water, security lights, trash receptacles, and parking areas associated with the access facilities. Camping facilities at areas accessible only by boat (must be accessible to motorboats). Access roads, bridges, signals, and other requirements to provide the public access to boating facilities. Water rights for the purpose of securing boating access. Dredging, stump removal, and aquatic weed control when activity can be shown to clear lanes to make water body more accessible primarily for recreational motorboats (as opposed to general navigation). Navigational aids in the immediate area of access facilities. Operation and maintenance of access facilities. Signage for effective use of access facilities and recognition of Sport Fish Restoration Program. 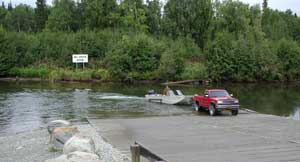 Publication of guides, brochures, maps, road signs, Internet sites, and other aids to inform boaters of access sites. Projects that compensate/mitigate for natural resource losses caused by an eligible activity.